I’ve been loving my iPad mini. It was a complete surprise gift from Mike back in late Spring. 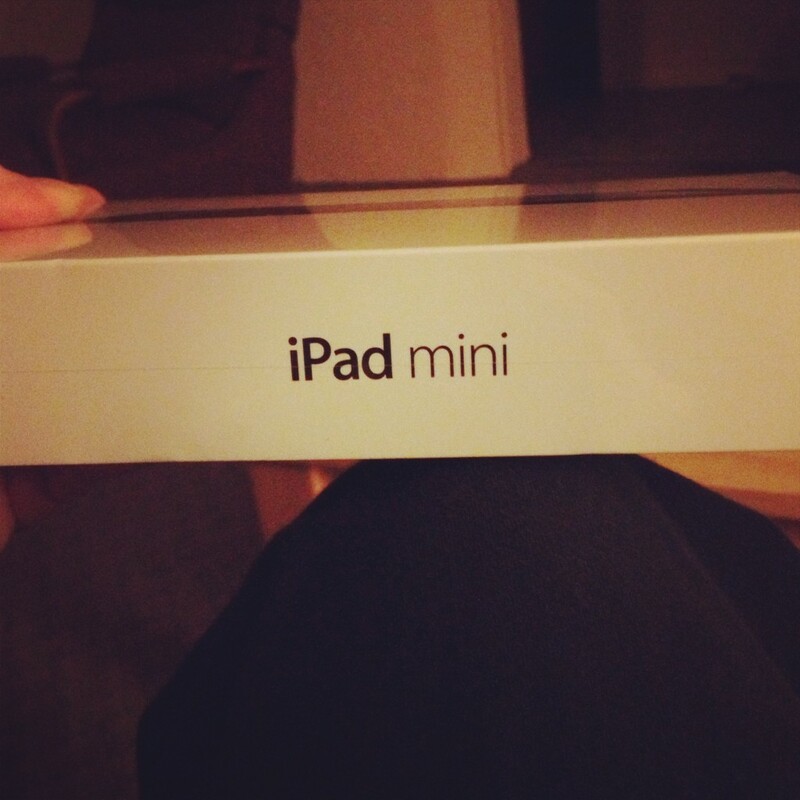 We’d been sharing a standard iPad at home, and I’d been using the mini at work for a few months so when Mike handed me my very own mini for home use, I was just thrilled. One aspect of using the iPad that I really like is reading digital magazines. I’ve discovered a wealth of digital options through ISSUU– a self-published site with a huge variety, plus food magazines like Relish, Food & Chef, and Food Fanatics (you can search for these on an iPad only- you won’t find them if you search by computer) but one of my most favorite digital magazines that I’ve discovered has to be DeliberateLIFE. With that, I dove in, and swiped page after page, enthralled at the words, images and information. It was like being around a table of inspired and creative individuals, telling their stories, sharing the photos of their lives and passing a plate or two of good food, a tumbler of cocktails, soft breezes across the table, and talking long in to the night. Magazines, for me, need to tell me stories that transport me to other places and time. They need to be void of the unrealistic fluff, pointing me in the right direction, making me salivate and wanting to book a flight across the country, or the globe. And most of all, they shouldn’t portray their information in unattainable ways. You know what I mean…. you pick up a glossy tome and start riffling the pages; pages full of impossibly beautiful people, in impossibly beautiful settings, with nary a stray hair or smudge of dirt visible. I don’t want a magazine that shows me something out of my reach. That doesn’t make me dream. That makes me fling it aside forever. I don’t want to see photos of people wearing white clothes and supposedly eating messy, glossy, saucy ribs at a barbecue (with no sauce on their hands or face? What a crock.) because in the real world, that never happens. But I’ve seen it in a paper magazine. And I flung it aside in disgust. DeliberateLIFE portrays real life, from travel stories, to interviews with people who are really making a difference in the world, to smart ways to handle the crush of life, to unique products that help support the way we ease through our days. The current issue is all about back to school, and, as Fay states, “…the internally ingrained sense that new beginnings are just around the corner.” Every Fall season makes me yearn for something new; a new notebook for my writings, a new big book to learn from, a sharp pencil. The start of school brings a melancholy to my life, as if my very nature shakes off the barefoot feel of Summer and wants to buckle down to ….. something. Anything. I might or might not be done with school, with intentional learning and education, and I’m always open to where my life might lead me in that regard. I hope to never, ever feel like I should stop learning as I grow older. The very first essay in this issue is titled ‘The Secret to a Vacation State of Mind.” and talks about how to capture the calm and magic of vacation days, even when your tied to a desk. And speaking of being tied to your desk, the section entitled ‘Corporate Play- Learning on the Job’ gives us many reasons for constant growth in your work, and chosen field even after you’ve hung your diploma on the wall. The Odyssey Initiative outlines a grass-roots group of New York teachers who traveled across the United States to find out what innovative and effective teaching practices educators are using to connect with students. Other articles talk about the importance of adaptability in learning, the impact of mentoring on students, ways to nourish school children through interesting lunch box ideas and ways to eliminate waste when packing school lunches. The Lunchskins, Smart Planet’s Eco Collapsible Meal kits and adorable Takenaka bento boxes all make me wish for days of packing school lunch again so I can use these great items. By far, my favorite section of this issue is all about the education and empowerment of women. ~~The Supergirl Dilemma, Girls Inc. Multiple organizations are at work with American girls to dash this dilemma on it’s head, and I love how the article states “We must encourage our girls to pursue their dreams, without apology, embracing tenacity, grit and aggression, if needed.” Not only in the United States, but worldwide you will find organizations set up specifically to help support women’s rise out of poverty through education and DeliberateLIFE highlights several worldwide groups helping bring change to women everywhere. And? They’re raising money to build a school. How can you not love something like that? Follow the link for more information. Do you have an iPad? I challenge you to download just one issue of DeliberateLIFE, read it through and try not to fall in love with it. Seriously. I bet you can’t.